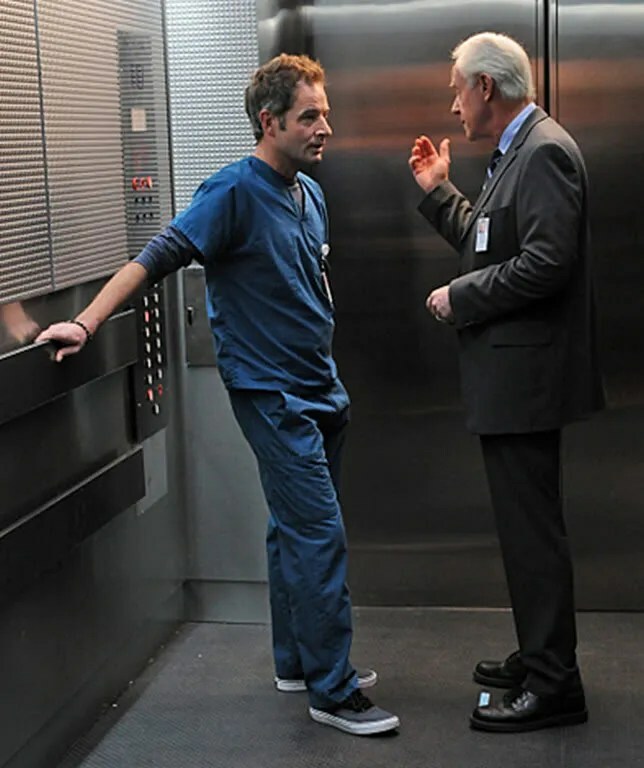 This week’s episode of Miami Medical, The Golden Hour promises to be a real treat for Jeremy Northam fans. We’re told it’s going to be a “big” episode for Dr Proctor, and we have the additional treat of a guest appearance by Mike Farrell (M*A*S*H). ﻿We were delighted when Miami Medical’s executive producer/creator Jeffrey Lieber agreed to talk to The Jer Blog about Jeremy, Dr Proctor and M*A*S*H.
Those of us who’ve followed Jeremy’s career for any length of time have seen him take on quite a wide variety of roles, and a weekly US tv show is another new direction for him. How did it come about that Jeremy was cast as Dr Proctor? It was a wonderful accident of timing. 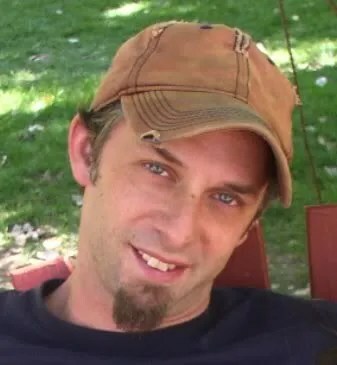 When we sat down with JBTV/WB/CBS to make our initial Proctor list, Jeremy was one of the first names. At first we dismissed him outright because he’s been approached and turned down TV before. But Jeremy and I share the same agency and when we pitched his name to the talent side… they said he might be interested, so… we took a flyer. We sent him the script. He liked it. Then we engaged in about a two-week back and forth, where we discussed character and process. On the morning he signed on, Jeremy presented me with a long idea sheet of “character thoughts” that had occurred to him after having read the pilot a few times and many of those ideas eventually made it into the show. Jeremy is an experienced and very talented actor. What was it like to work with someone who has his “chops”? Did his experience/ability create opportunities in the storylines? Having talented actors just makes the producers’ lives much easier. We all spend less time trying to write AROUND an actor and instead concentrate simply on the character. Jeremy was also very willing to engage in a back and forth – specifically with me – about his inspirations and his frustrations as he started to explore the role. Dr Proctor is a great character, really quirky and intriguing. Is he anything like a real trauma doc and did you base him on your experience of medics, or did the original idea for the character develop from elsewhere? Trauma docs are pretty unique. You have to be when you are presented with so much “life or death”. Proctor is an amalgam of people we met while doing research and… well… Jeremy. It’s funny how quickly a character becomes the actor’s portrayal. There is no “Proctor” without Jeremy anymore (nor is there a Zambrano without Lana or Dr. C without Mike or Warren without Lis or Tuck without Omar). How much was Dr Proctor shaped for Jeremy specifically once you had him on-board, and how much of an input did he have on character and dialogue? Well, he clearly switched from an American to a Brit when we cast Jeremy. Also, there were certain relationships (Proctor’s with Kari Matchett’s Dr. Helena Sable in Episodes #107 and #108) which Jeremy really wanted to dig into. I’d go down to the set and we’d talk through a specific speech or passage. I think there were just times when we’d want to tap into Jeremy’s facility with language and he wanted to play away from the “aristocrats” that he’s been previously known for playing. All in all, I think we both got what we wanted from those interactions. Dr Proctor seems to be acting as a mentor to Dr Warren. We wondered if Jeremy himself was passing on his experience to the rest of the cast? Dr Proctor’s “secret”, you’ve said in other interviews, is the storyline arc of the first season. Will we see any flashbacks to his 88 seconds flatline and his subsequent reassessment of his life? And will there still be some secrets at the end of the season? Not flash backs per se, but… episode #107 starts with a very non-standard tease. I’ll just leave it at that for the moment. M*A*S*H has been mentioned as an influence for the show, and episode #105, “The Golden Hour”, features a guest role from Mike Farrell (who played B.J. Hunnicutt). Can you tell us a little about how exactly you’ve been influenced by M*A*S*H, and how it came about that Mike was cast? The original fast pitch of the show was, “A domestic M*A*S*H unit in an American paradise.” And I LOVED the original series when I was a kid. Now the old M*A*S*H TV show had the politics of the war in addition to the medicine (and for a while a laugh track), but the use of gallows humor to try and cope with the bare humanity of the job was my initial in to the show. At one point during the season we conceived of an episode where a bunch of the old M*A*S*H doctors were in one episode, but the logistics got to be too overwhelming and so we cut it down to one… Mike Farrell… who was a pleasure to work with. “The Golden Hour” looks like it has some great scenes with Jeremy and Mike. What was it like to see these two really excellent actors working together? Just a pleasure. They both are guys who find layers within a scene so it’s pretty much just point, shoot and let them do their thing. We’re loving Miami Medical and looking forward to seeing what comes next. What upcoming highlights should we be looking out for in the next few episodes? The last 4 episodes of the season start to break from format. The plan was always to build a template in the front half, then start to play variations on a theme in the second. I’m really proud of this next episode – it was the last we shot sequentially – because I think it really pays homage to the need for trauma centers. Also, there’s just a wonderful emotion that sneaks up on you at the end. Episodes #106 and #107 are tied together by… well… I can’t tell you that. There’s a little love interest for Dr. Proctor in the future. And the very last scene of #108 (end of season one) makes me happy every time I see it. We’d like to thank Jeffrey very much for finding time in his busy schedule to speak to us. Don’t forget to watch this week’s Miami Medical, Friday at 10pm, CBS. Thank you for this brilliant and most interesting interview! Great job and interesting questions! Really enjoyed reading this! Thank you Gill and Jeffrey!! I enjoyed hearing a bit of the inside scoop on Miami Medical and Jeremy’s participation in this show. I’m REALLY looking forward to the next four episodes! Thank Gill. Let’s hope this show makes it to season 2 so we can see where Jeremy’s charatcer goes and we get to see more of Dr Proctor.. Absolutely, I’m really wanting to see more and more, especially now we know what a collaborative process the character has been. It’ll be fascinating to see him develop. That was awesome Gill, loved it! Thanks Jeffrey for taking the time for this, it was really enjoyable. How awesome that you were able to get this interview! All of us JN fans are truly grateful to you, and to Jeffrey for getting Jeremy on the air weekly! This is pure gold, Gill! Great interview. You asked all the questions I would have. Thank you and thanks to Jeffrey for answering so fully!